One of the most common signs of facial aging is the development of jowls. Jowls form when the skin along your jaw line begins to sag downward, resulting in loose skin and a poorly defined jaw. Jowls are typically accompanied by other signs of facial aging such as marionette lines (wrinkles extending down from the corners of your mouth) and nasolabial folds (lines extending from your nose to your mouth). Fortunately, there are a variety of surgical and nonsurgical options available to help you improve the appearance of jowls. The right option for you will depend on the extent to which you’ve developed jowls and your aesthetic goals. During your initial consultation, our plastic surgeons will recommend the ideal option to address your needs. While these actions won’t prevent jowls from forming entirely, they can help you delay the need for a facial rejuvenation procedure. A facelift provides you with the most customized, effective and long-lasting solution to improve the appearance of jowls. While nonsurgical treatments can help provide a more youthful appearance in the lower face and neck region, only a facelift provides the lifting necessary to correct the underlying cause of jowls. A facelift will tighten and elevate the skin in the neck region and along the jaw line. This will help improve the appearance of jowls and restore a more youthful look. In addition, a facelift increases the tension in the underlying tissue layer of your skin, providing additional strength and support. This will also help improve the appearance of marionette lines and nasolabial folds, providing dramatic facial rejuvenation results. These injectables can help temporarily camouflage the appearance of jowls as they begin to form. However, as your signs of facial aging become more prominent, you may need to undergo a facelift to more effectively achieve your goals. 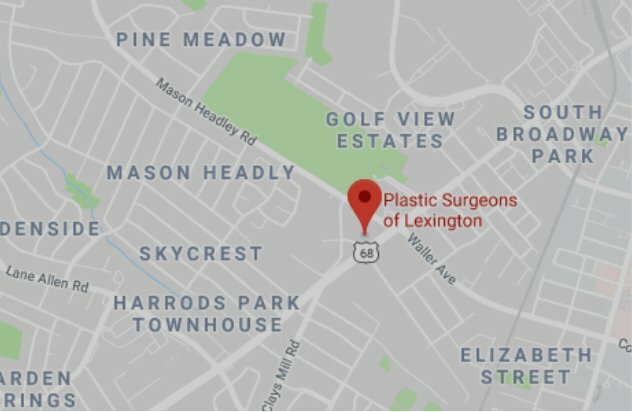 Please contact Plastic Surgeons of Lexington using the form on this page or call 859-276-3883 today to schedule a consultation. We serve patients in Lexington and the surrounding areas of Central and Eastern Kentucky.